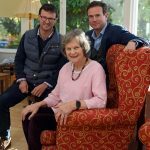 Major expansion plans at care home as new generation takes reins | News by Wales Express News, People Before Profit! A former secretary who transformed her historic family nest into a thriving care home is continuing its legacy after handing over the reins to her two sons who are planning a major expansion creating 20 new jobs. 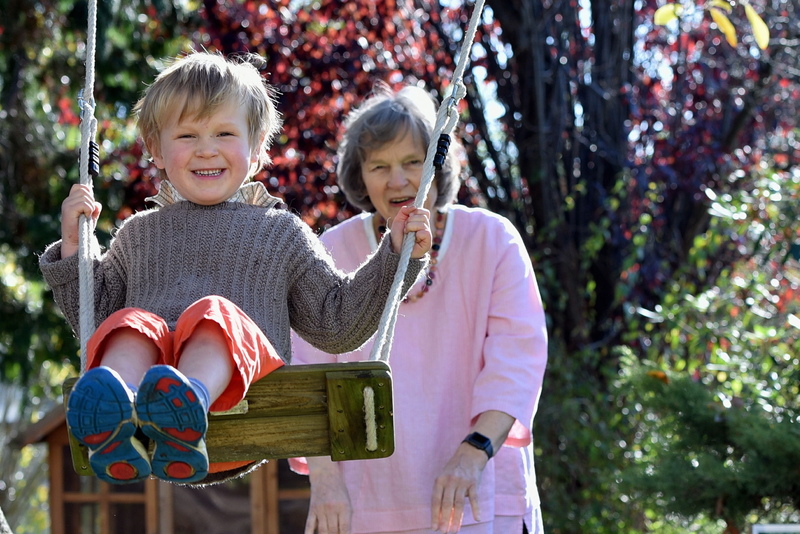 Priscilla Llewelyn with her grandson Antony. Priscilla Llewelyn, 75, is retiring from an industrious 31-year career in social care during which she co-founded the successful 34 bedroom Penpergwm House private residential home in The Bryn, Abergavenny, which was once her family home. The grandmother-of-nine has been praised by social care champions Care Forum Wales for her passion and positivity over the past three decades which has included IPad lessons for “silver surfers” and fitness workouts. The business, which includes a domiciliary care company and another providing HR, legal and management expertise, employs a total of 100 people. 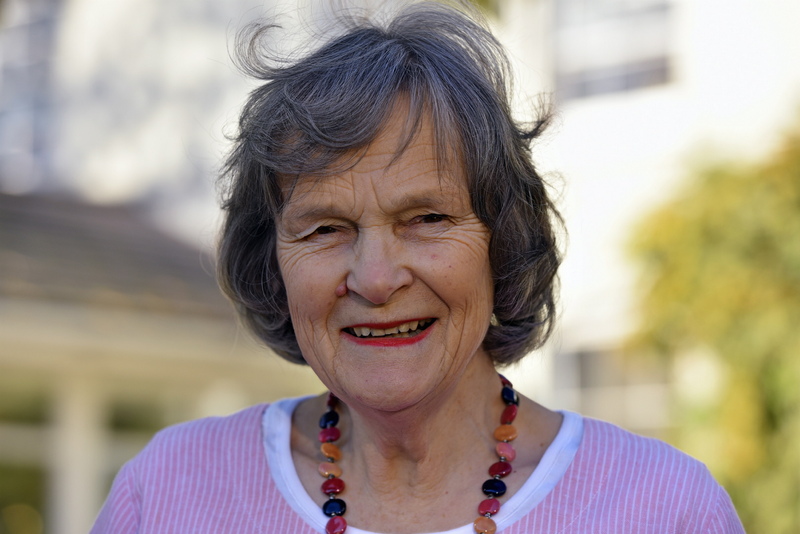 Priscilla, who was brought up in Truro, Cornwall and now lives in Llanvihangel Crucorney, has no plans to slow down in retirement and will be taking on a new role as a development consultant and ambassador for the business in the New Year. 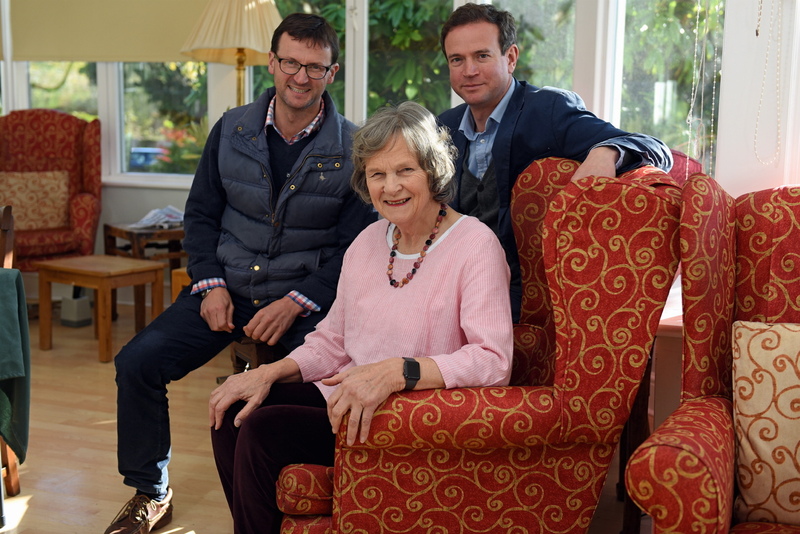 A London-trained secretary, Priscilla is handing over the business to her sons Hugo and Ben Llewelyn who have ambitious plans for expansion including the development of a number of supported living apartments in the home’s grounds. Hugo, 47, who has worked in property investment for a number of years, came onboard as a director in 2010 and oversaw further expansion which included the launch of the Penpergwm Care Management subsidiary business which provides HR, legal and management services to other care homes. He also oversaw a third extension which saw the home grow from 24-beds to 34. Ben, meanwhile, also a director, runs a successful wine importing business and joined the business a year ago as the Responsible Individual for the domiciliary side of the business, Penpergwm House Home Care. His wife, Georgie, 41, is employed as Business Development Director for Penpergwm Care Management. “I find it very sad to step down but I have to emphasise it is my choice to do it now. I’m 75 and it’s better to do it when you’re still able,” explained Priscilla. “It’s nice and organised and I’m really happy with the people taking over. It’s been the most brilliant career and work to do. “I had a once in a lifetime opportunity to get involved in a care home and I grabbed it and thank goodness I did! Mario Kreft MBE, the Chair of Care Forum Wales, congratulated Priscilla for her vision and energy over the decades and for her “can do” approach. “Penpergwm has developed an excellent reputation over the years, receiving recognition far and wide for its positive approach to care. 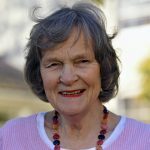 “Priscilla also made an invaluable contribution to the social care sector across Wales and served as a Council member of Care Forum Wales for a number of years. 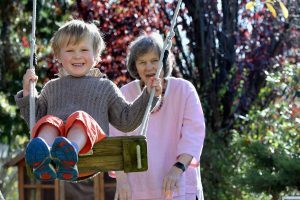 Priscilla, who also has two daughters, Jo Ogilvy, 39, and Virginia Hutchins, 49, has many happy memories bringing her children up in The Old Rectory, as the care home was known then. With 10 bedrooms and substantial grounds to maintain, Priscilla reluctantly put it on the market in 1987 and never imagined it would soon become the focus of a flourishing career. “I had never thought of owning a care home before,” she said. “I put the house on the market without really wanting to sell it but it was too big. Some people came to the door and wanted to set it up as a care home but they couldn’t fund it and then someone else came along who had the investment. “We all went to the local pub, The Horse and Jockey, and had a series of meetings there over fish and chips and that’s how we set it all up. After two years, Priscilla bought out one of the three partners while the other partner continued for 16 years before retiring from the business at which point Priscilla continued on her own. Originally the home launched with eight bedrooms and within a few years had doubled in size to 16 bedrooms. Further extensions took place and the latest development saw a further eight bedrooms added five years ago, taking the total to 34 bedrooms. On the back of her success, Priscilla also launched a domiciliary business, Penpergwm Home Care, around 15 years ago which supported people in their own homes in South Wales. Penpergwm now employs more than 100 staff across the three areas of the business. Oxford University graduate Hugo, who has a four-year-old daughter and two-year-old son, said: “We are really proud of my mother’s achievements. Penpergwm has been a major part of our lives and it has been brilliant. It has been a very successful business and what’s great now is that we have the opportunity to build on that with the three strands of the business. “This is all about continuation. We are building on what our mother has achieved in terms of Penpergwm’s reputation and quality. “We have further plans to create some very nice retirement units linked to the care home for people getting into their 70s or 80s who might not want to live in a care home exclusively but live independently within the grounds. “Priscilla is going to be a consultant for that particular programme and her future job will be as an ambassador for the home. Ben, 44, who has two sons aged twelve and eight and a daughter aged 10 and who lives in Bryngwyn, a few miles from Penpergwm House, added: “In reality we’ve all been involved in the business since the beginning as it was our family home. It always has been a major part of our mum’s life. “What she has achieved is no mean feat although she would never admit to it. She has made a fantastic job of creating a well-respected and long established business. 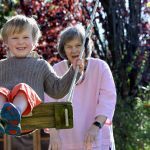 “Mum will remain a very useful source of advice in the future but I hope she uses her many varied skills to do other things in her life too. Priscilla has no plans to take it easy in retirement and has already embarked on a course in Moral Philosophy at Cardiff University. “I feel so proud and terribly sad to be leaving at the same time,” she said.